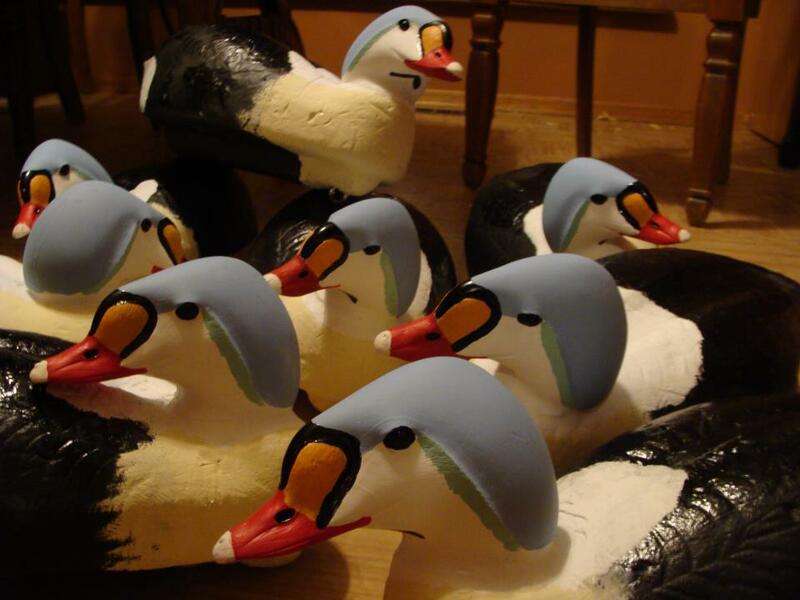 We have finished making a bunch of decoys for our Alaska sea duck hunts. 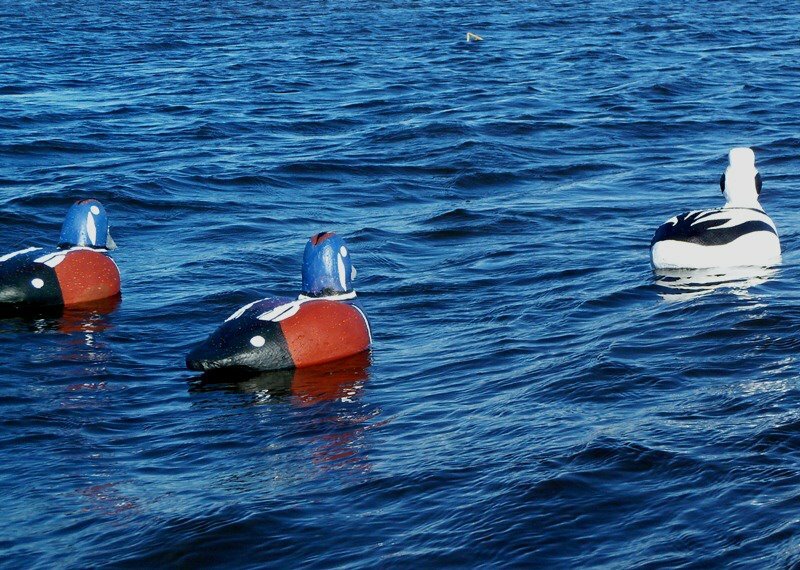 For those waterfowlers that have not tried making decoys, I highly recommend it. 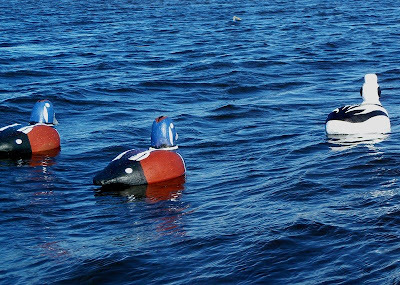 Making decoys is a great off season project and really adds extra enjoyment to your hunts when using them. 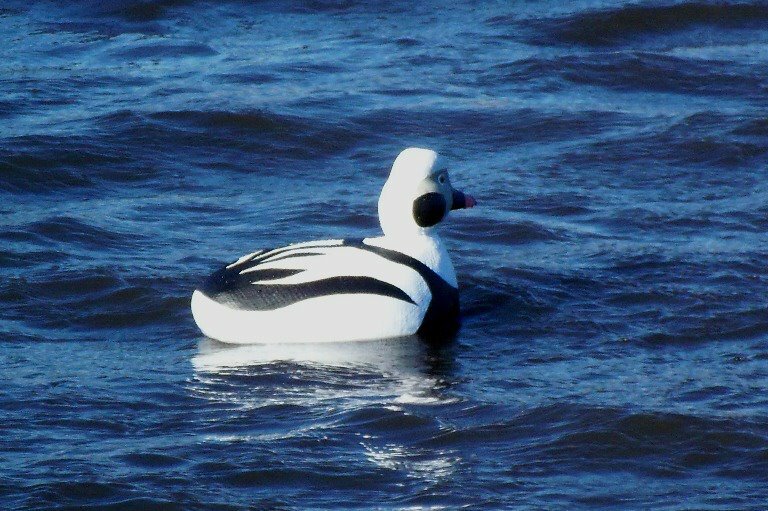 We made some Harlequin, Long-tailed Duck (Oldsquaw) and King Eider Decoys that will be used in the Bering Sea.